Taman Ayer Panas (Air Panas New Village) is a housing neighborhood located in Setapak, a major suburb in Kuala Lumpur. It is within close proximity to Kuala Lumpur city and offers easy access to several highways such as DUKE Highway and MRR2. > basic amenities and facilities such as mini markets, mosque, banks, clinics, hair salons, as well as various cafes and restaurants offering wide variety of affordable food. It is also located within short distance from numerous shopping malls such as Aeon Jusco, Aeon Big, Wangsa Walk, and Giant Hypermarket. 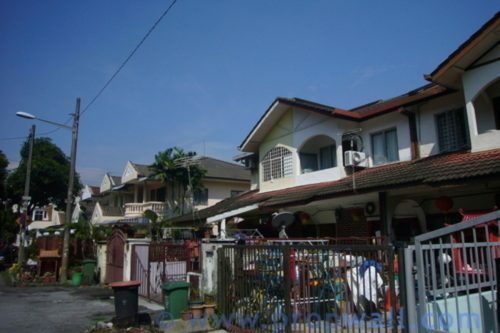 It is located near to Platinum Walk and also has great access to shops and schools in Danau Kota area. > Education institutions, Taman Ayer Panas is with close proximity to Sekolah Jenis Kebangsaan (C) Mun Yee, Sekolah Menengah Kebangsaan (C) Chong Hwa, Sekolah Jenis Kebangsaan Setapak, Sri Utama School, Tunku Abdul Rahman College, and International Islamic College.